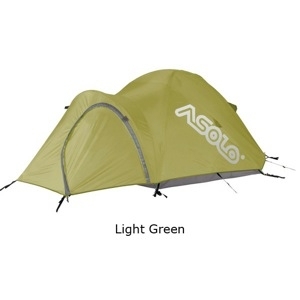 A great choice for rough-and-ready expedition-style camping trips, the three-person Asolo Gear Ptarmigan technical backpacking tent will keep you dry and sheltered even during winter excursions. It features a durable 70D nylon floor and 75D polyester ripstop tent fabric–each coated with polyurethane for protection from the elements.Weighing 8.5 pounds, the Ptarmigan also includes a large vestibule for storing gear and taking off wet boots and clothing. Other features include a good assortment of mesh panels and windows for good ventilation, and smooth connecting shock-corded aluminum pole construction with a clip/sleeve system. Poles: 7000 series aluminum 8.5 mm with smooth connections, shock corded.